Everything you need to know before taking the big watch plunge. But what is a proper watch? To Esquire, it’s one that shows you’ve made the effort, that you’re no longer content telling the time from your mobile, that–yes–you’ve taken a big step toward actual, bona fide manhood. The problem with the world of men's watches (“horology” to give its proper name) is that it can feel to the outsider like a pretentious club that doesn’t want you as a member. Ask a watch bore about the difference between a quartz and an automatic movement and he’ll look at you like you’ve used his best single malt whisky to get a bonfire going. 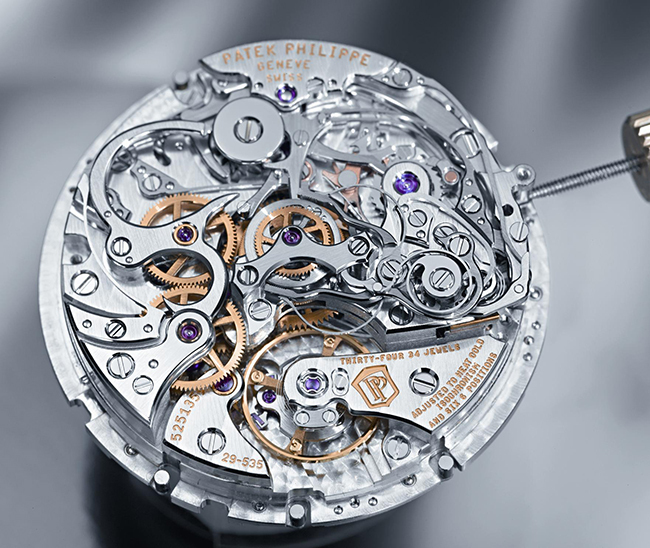 The movement (also called a calibre) is the mechanism inside a watch—the “engine” that powers the thing. In modern watchmaking there are two main types of movement. The first is the quartz, which uses an oscillator, regulated by a piece of quartz and powered by a battery, to keep time. The majority of high-street watches use quartz movements as they’re cheap to make and extremely accurate. The second type of movement is when things get interesting. A lot of it comes down to one phrase: “The least important thing a watch does is tell the time.” People like mechanical watches for the same reason they might prefer a classic Jaguar E-Type over a modern-day Toyota or vinyl records over MP3s. It’s not just what something does but how it does it. And for many of us men, that’s pretty important (after all this is a very male world we’re in: one leading watch manufacturer told us that 95 percent of its customers were men). An automatic watch is a living thing, as you soon discover when you hold one for the first time. One of the beauties of them is that the seconds hand travels in a smooth “sweep”, while on quartz watches it just ticks depressingly once a second. As soon as you notice this, it becomes a surprisingly big deal-breaker. One final thing to bear in mind: if you take off your automatic watch, it’ll eventually stop. How long it can run without being on your wrist depends on the individual timepiece, but many tend to work for 38-48 hours before they need rewinding, while some can go on for a full five days. Once you know what's happening inside your watch comes the all-important question of style. Every occasion demands a different sort of timepeice, these are the big ones vying for your attention. Designed to function in the depths of the ocean, the diving watch is characterised by its rugged construction, luminous dials and hands, and unidirectional bezel. This device sits on top of the case, and can be used to tell the wearer how much immersion time he has left. Most diving watches owe their design cues to the 1953 Rolex Submariner, the first watch to work at a depth of 100M. A great all-rounder and a versatile choice you won't regret. The most jewellery-like of timepieces, a dress watch tends to be understated–think Roman numerals, simple face and a lack of adornments. Usually attached to a leather strap, the ideal dress watch is super-thin so it can rest unnoticed under the wearer’s cuff until he needs it. Also, as dress watches don’t perform any specific function bar telling the time, they’re also the most likely to be made from a precious metal. Wristwatches took off back in 1911 when Cartier made one for pioneering pilot Alberto Santos Dumont, so it’s no surprise aviation watches are still a key sector of the market. Thanks to its bezel and slide rule, Breitling’s Navitimer, can convey large amounts of information, vital for pilots in the days before electronic navigation. Most aviation timepieces have a black face with luminous numerals and dials–a relic of the need to use them in the dark. Motorsport, like flying and diving, has a masculine glamour that makes it irresistible for watch manufacturers. Driving watches should have a chronograph complication—the stopwatch feature has provenance in motor-racing—while some, like the Omega Speedmaster, also boast a “tachymeter” on the bezel, a device for measuring speed. The extra buttons on the side just look damn good, too. For people who like Apple Mac computers, fixed-gear bikes and carefully constructed facial hair, minimalist watches are an increasingly popular choice. Referencing Bauhaus design, these timepieces tend to be powered by quartz movements, which means you can pick up some seriously stylish men's watches for less than USD290*. However, brands like Nomos mix modernist case design with in-house manual and automatic movements for those who believe the inside of a watch is as important as the outside. At this lower price range, you can still find automatics too. Try the hand-wound Chinese Air Force watch from Seagull 1963. Super-reliable and extremely good-looking (check out themovement through the glass back), it’s a bargain at around USD364*. Staying in the Far East, Seiko and Citizen both make great automatics for less than USD290*. Moving up the price scale, mechanical timepieces from the likes of Junghans, Christopher Ward and Sinn provide something a bit more special from around USD728*. It’s a fair question: how come that watch is USD21,842* while this apparently identical one is USD291* Ultimately, it comes down to materials, length of manufacture and brand heritage. Quartz watches are cheaper because even the best quartz movements from Switzerland cost little more than USD72*, while you can pick up a Chinese movement for just a few dollars. While some watches can rocket in value as time passes—we’re thinking the Rolex Daytona “Paul Newman” here—most will lose some of their worth over the time. This means that if you’re willing look to past the age of a watch, you can get your hands on a true classic, like a Sixties Omega Seamaster, for less than a grand. After taking in the above, you should have a better idea of what makes a great watch and why some watches command such status, respect–and pricetags. More importantly, you’ll soon be able to justify, to yourself at least, why you’ve swerved that dream holiday for you and your partner in favour of the chunk of metal, glass and leather proudly sitting on your wrist. Good luck with that.